Summary: To find delightful walking so close to a city centre is a thrill indeed. I used to live in Horsforth, North Leeds. 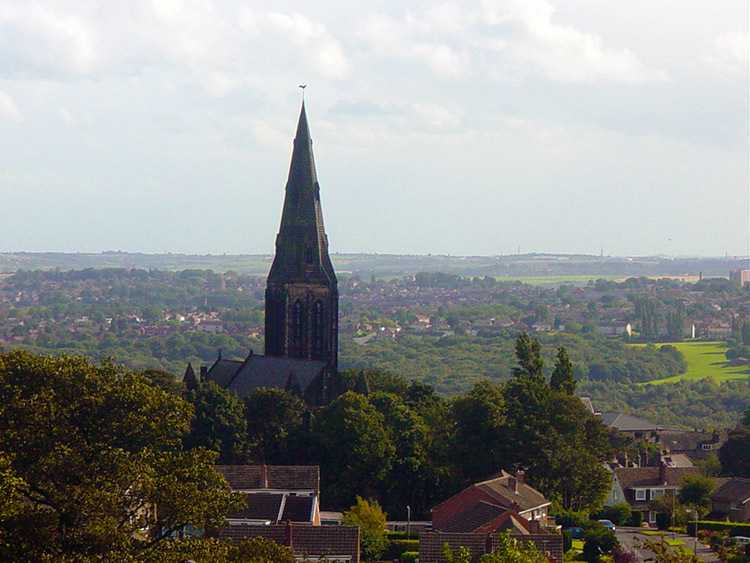 Horsforth stands high above the city and is close to Leeds Bradford International Airport. From my house in Horsforth I could see the airplanes come in to land and take off from close range and I could hear the trains running along the nearby Leeds to Harrogate line. I chose to live in the hustle and bustle of the city. But not just any city. Leeds is full of parkland and woodland. Horsforth has the best of it as I will show you on this walk. In fact, you don't have to leave the city to find lovely quiet walking. And I did all that follows here by walking out of your back door. I walked out of the house because the sun was out and although it was a breezy September day the sky was brilliant blue. The forecast had been for showers but I thought there were not going to be any for a while when I looked up to the cloudless sky. After five minutes of street walking I was at the entrance to Hawksworth Wood which is just off the Leeds outer ring road at Horsforth Woodside. I left the roadside and entered this marvellous wood. An information board stated 'Despite it's urban location and apparent isolation Hawksworth Wood boasts a wide range of habitats - in addition to the predominantly oak/birch woodland there are patches of heath on the exposed spoil heaps and a rich wildflower meadow. 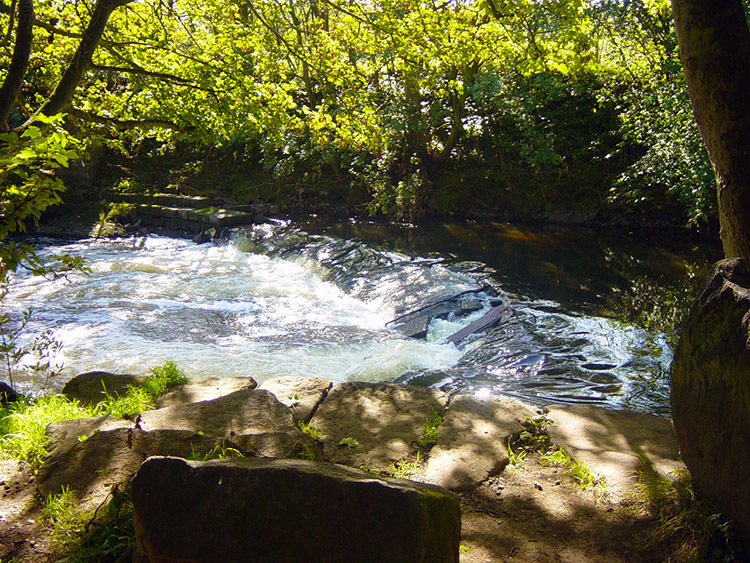 A series of natural springs occur through the wood, all flowing into Oil Mill Beck'. The board also indicates the presence of butterflies, woodpeckers, Mistle Thrush and Roe Deer. It is a credit to Leeds city council that they keep the wood so well. 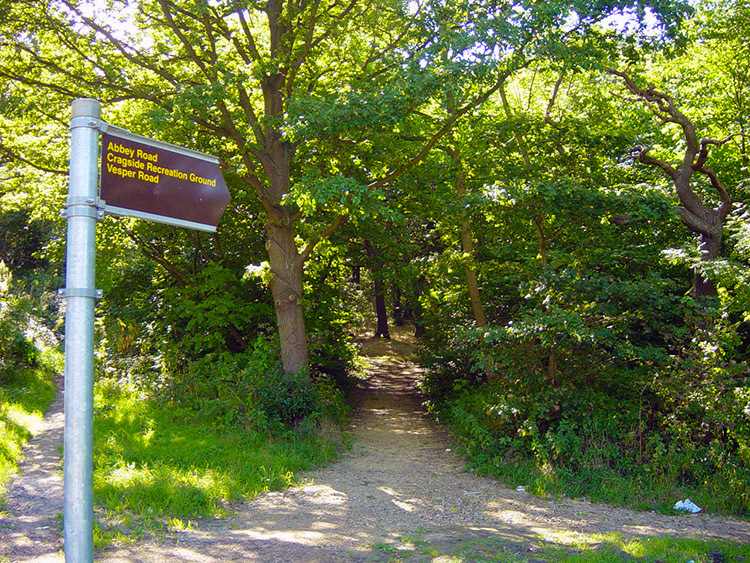 The paths are well maintained with plenty of signs indicating the routes through the wood. My route was to follow it through to Abbey road on a parallel to Hawksworth Road. I ambled through the superb woodland. 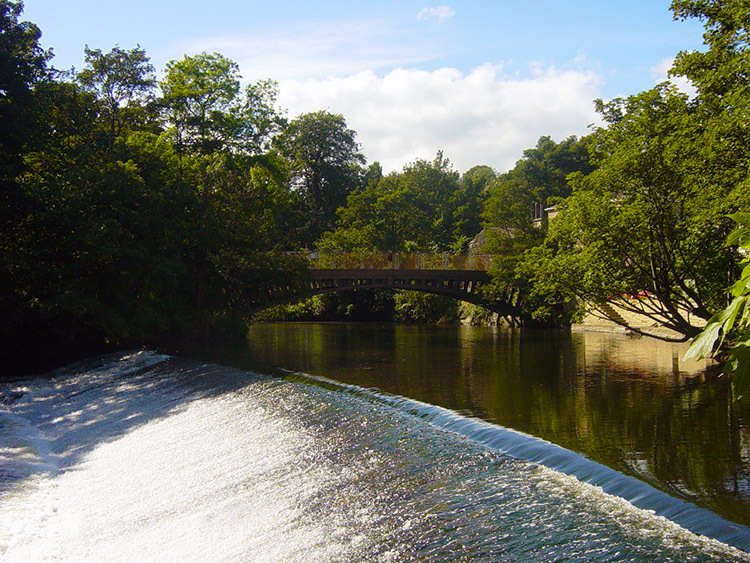 At the end of my woodland walk I emerged at the side of busy Abbey Road and followed it north west for 200 yards before leaving by a footpath which took me to the banks of the River Aire. 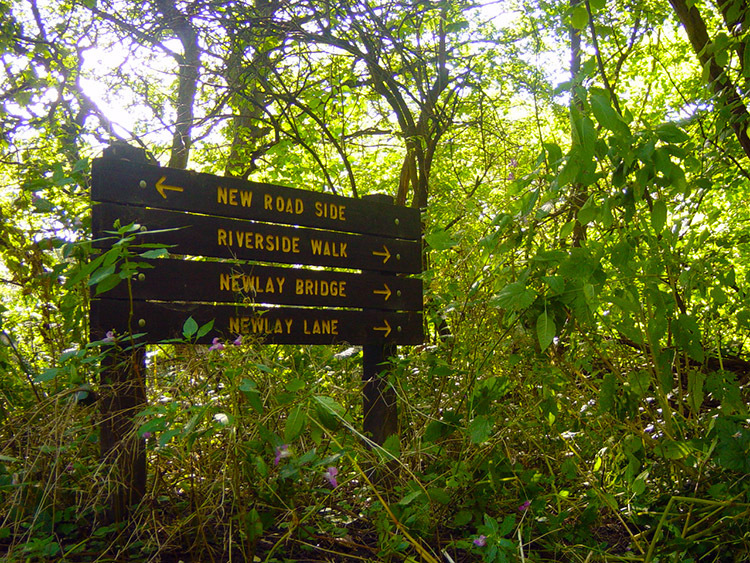 I now enjoyed part two of this super walk by following the river upstream to Newlay Bridge. On the cast iron bridge which resembles Ironbridge there is a plaque commemorating John Pollard of Newlay House who built the bridge in 1819. 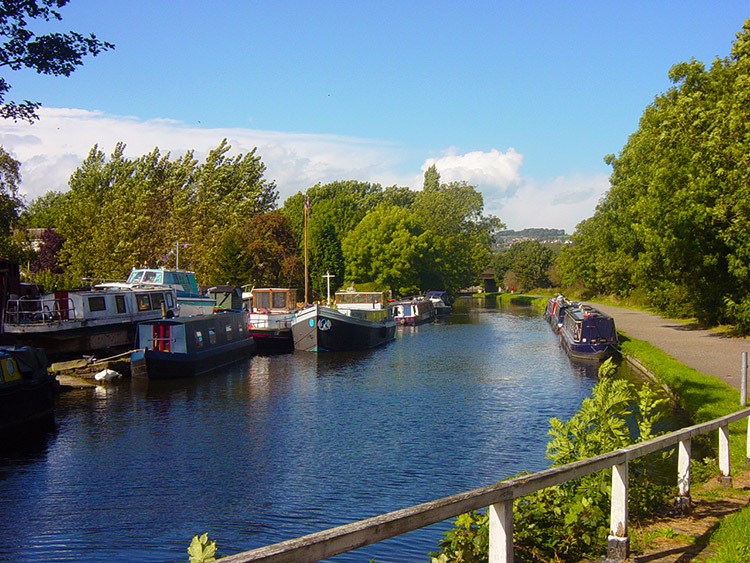 From the bridge I walked up a quiet road for a few yards until I reached the towpath of the Leeds to Liverpool Canal. 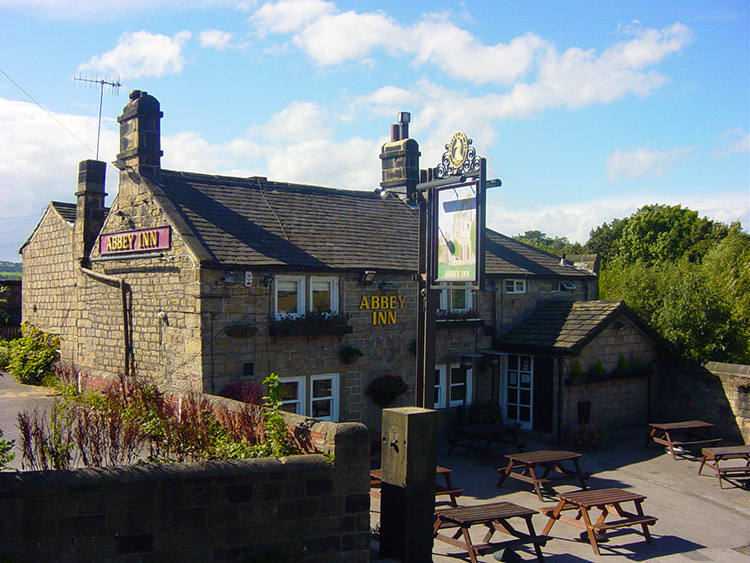 Before following the towpath I walked a few yards along Pollard Lane to take a look at the Abbey Inn, a popular hostelry in which I have enjoyed an hour or two now and again. 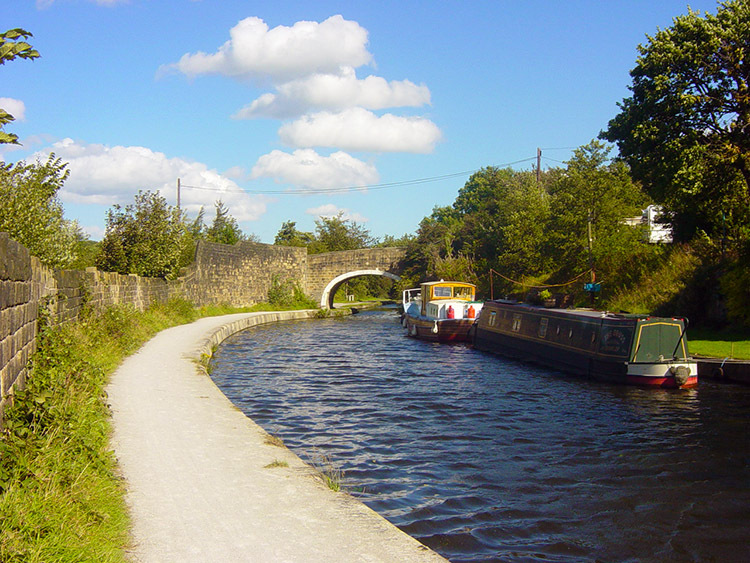 I returned to the canal and spent the next three kilometers enjoying a walk along the towpath to Calverley Bridge. 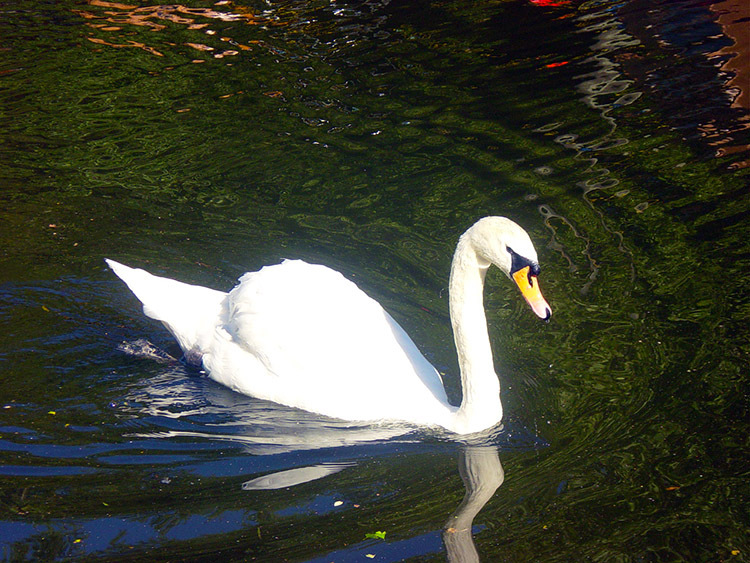 On the way I passed a very friendly swan at Newlay Barge before driving my way through a swarm of dragonflies that were enjoying their brief time. It is fiction they only live as adults for one day, they can live anytime up to four months. Today there were certainly around, and in large numbers too as they pranced about from skimming the canal water to basking on the towpath or resting in the late summer wildflowers on the side of the path. I actually enjoyed their company for it is only a short season when you see them. Soon after the dragonfly experience a short sharp shower arrived, as promised by the weather forecasters, so I sought the seclusion of canal side trees and waited on the passing shower. 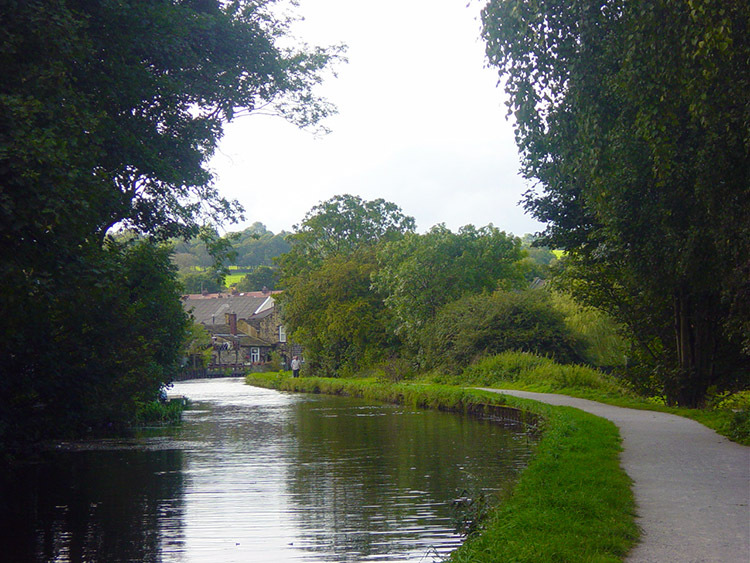 It was soon gone and I resumed my walk in sunshine along the towpath. As I walked I passed the entrance to Rodley Nature Reserve. Visit if open, it is designed to bring wetland wildlife back into the Leeds area. A worthy reason to support the cause. 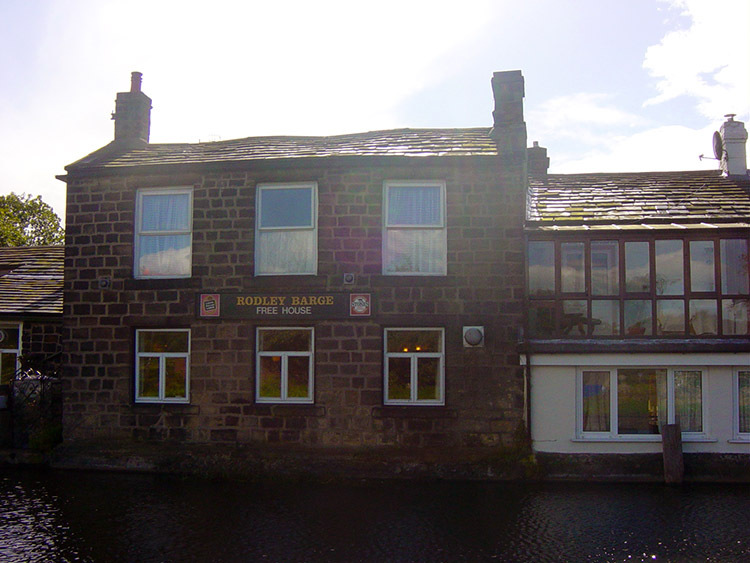 Alas it was closed when I passed so I continued on and passed the Rodley Barge pub. 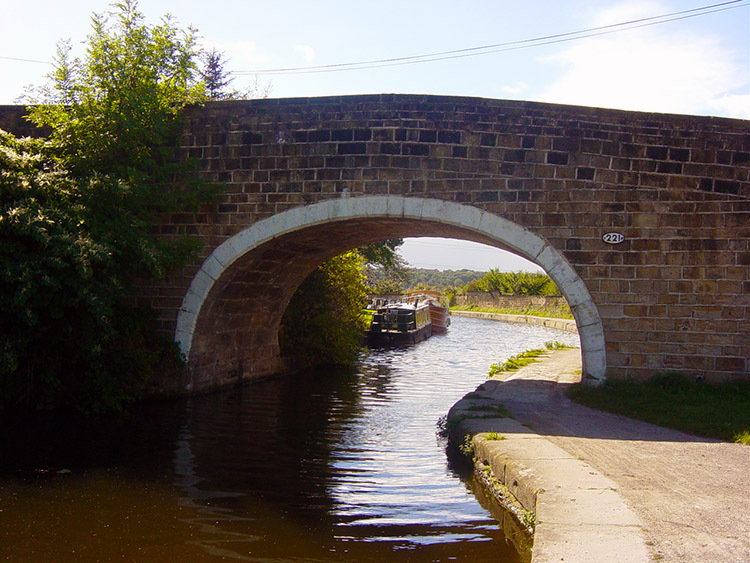 After passing the Rodley section of the canal I walked under Calverley Bridge before leaving the canal and starting my climb back into Horsforth at the Railway Inn. 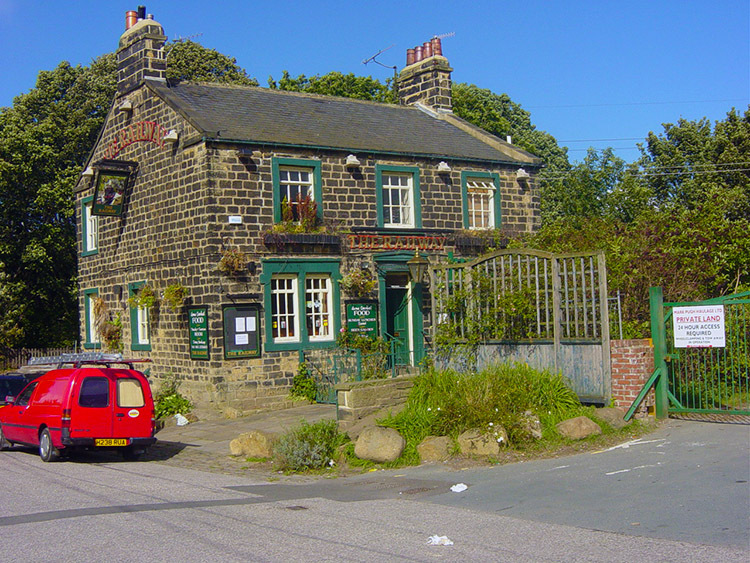 From the Railway Inn I followed a track to a stone bridge which took me over the River Aire onto the very quiet Calverley Lane past the Clariant works and Turner Townsend office buildings before walking up the Bar Lane bridleway to cross the busy A65 Rawdon Road. After taking care crossing Rawdon Road I followed a footpath through a field and then between houses into the West End estate. This is a quiet leafy suburb of Horsforth. As I walked through the schools were coming out and mothers were thronging the area in search of their children. 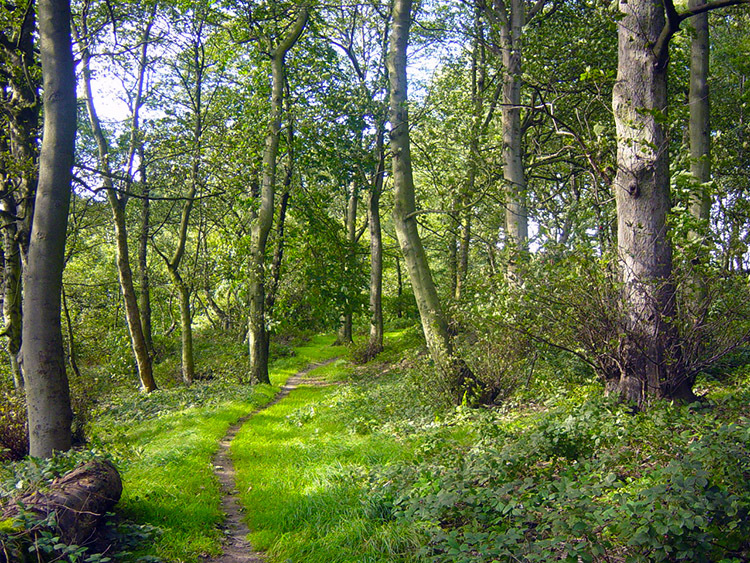 I was soon past them as I climbed up a track into the high Horsforth woodland at Hunger Hills. 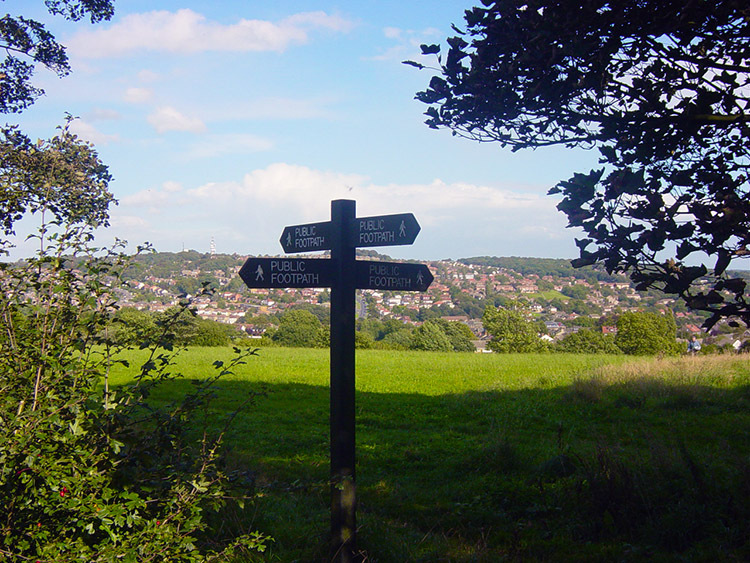 Once I had completed my long climb (131 metres of climbing since I left the canal) I looked out of the woodland to great views of Horsforth, Tinshill and Leeds. Horsforth in it's lofty position in the city provides brilliant views of the city and I stayed a while taking them in before walking down into the Troy area of Horsforth and down Station Road past Horsforth Station before turning in to Haigh Wood Road. All there was left to do on my super home walk was to now walk into Haigh Wood and follow it through to the ring road and back to the start at Hawksworth Wood. 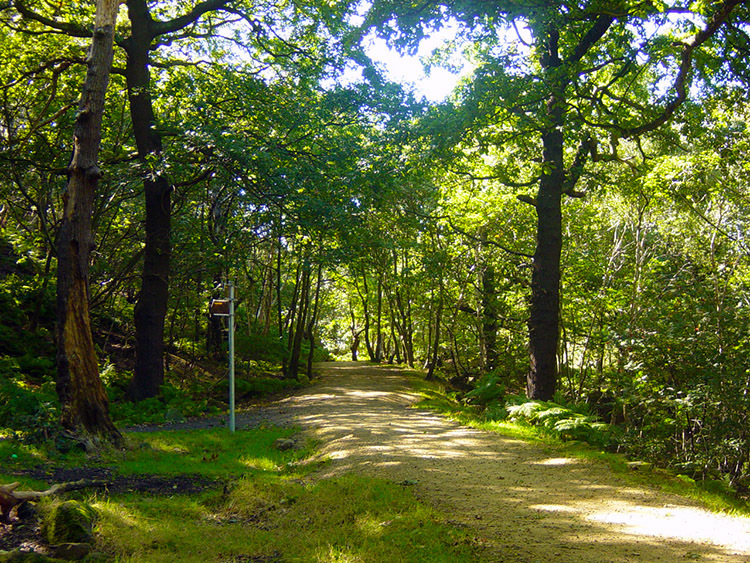 Haigh Wood is a darker place than Hawksworth Wood. The trees are more densely packed. 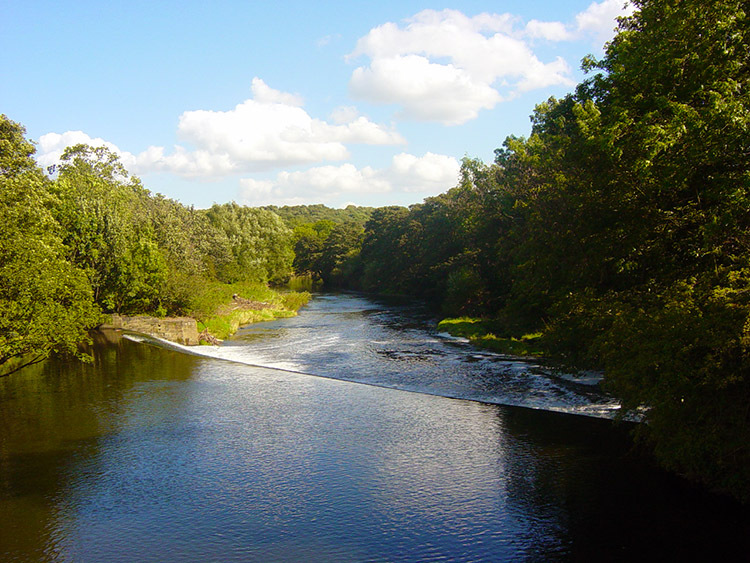 There are interesting diversions to streams and there is a fishing pond close to Troy Mills where an angler or two can often be found. The wood. long and interesting, ends too soon as the rumble of the ring road draws you to its conclusion. And so I emerged back into the city life I choose to live in. 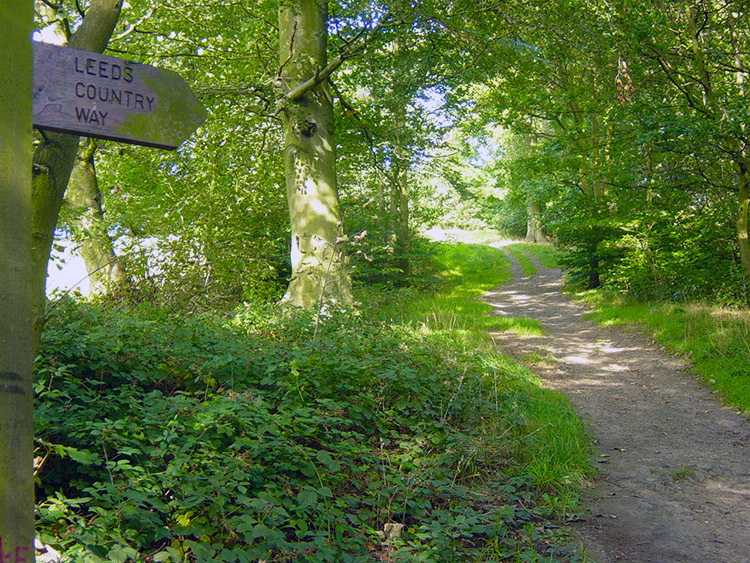 I also choose to live in such close proximity to fantastic walking areas, so close to home.